Cribbage is a centuries old card game that was originally played by sailors and has many different variations of how to play. With this cribbage set you will be able to play the traditional way as well as solitaire, 3-player, 4-player, 5-card, backward, and noddy. This game is great for a relaxing day and can be enjoyed by all. 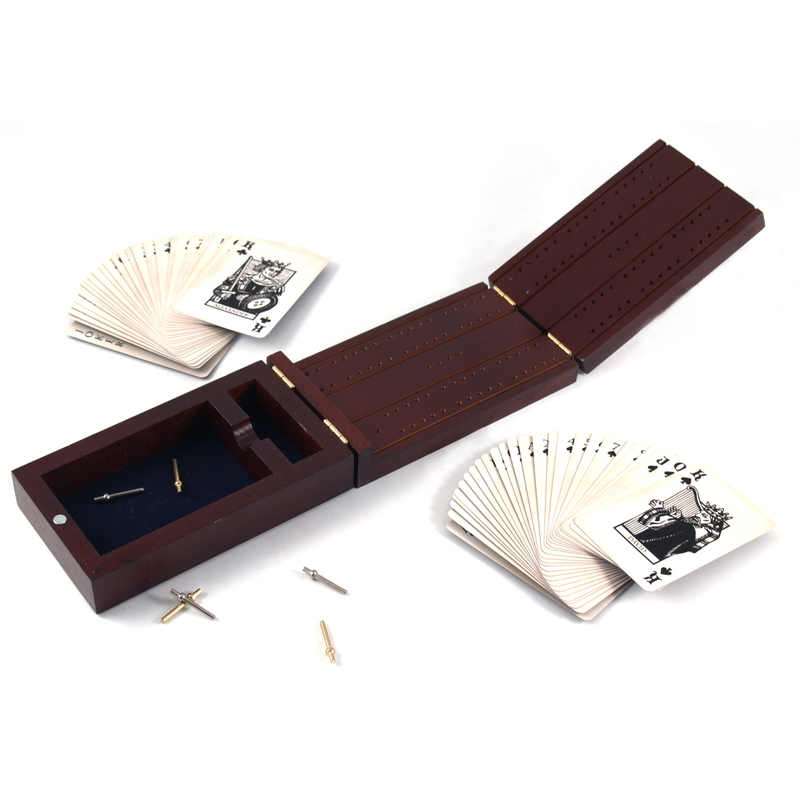 The set includes a decorative folding wood box to help keep score, two decks of cards and six scoring pegs. 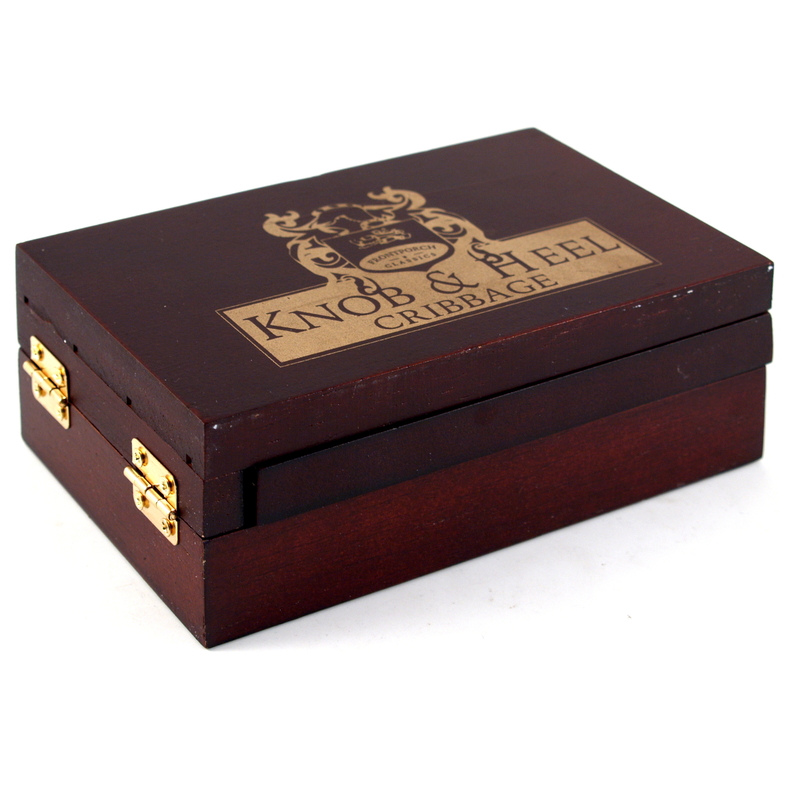 The handsome mahogany finish storage box is perfect for any business office or study and an elegant conversation piece for your home living room.